An adorable outfit for your girl by Bonnie Jean. 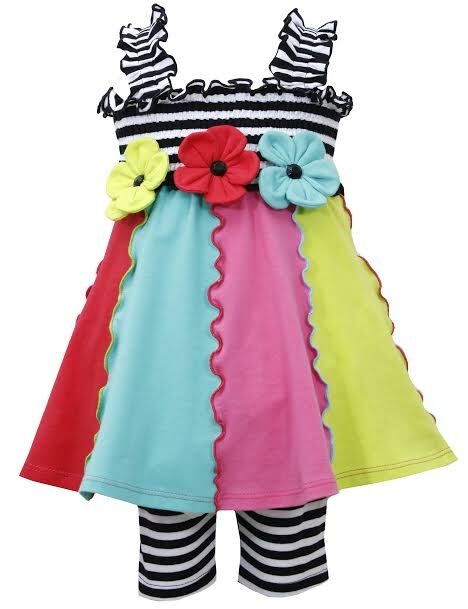 This 2-piece smocked knit Legging set features a striped bodice and color blocked dress with wide shoulder straps and a triple flower applique. Comes with coordinating striped leggings with an elastic waist.